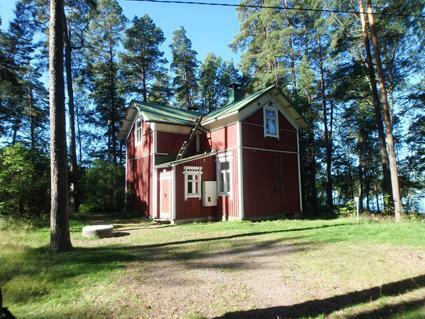 This old hunting lodge of the Wuojoki mansion is located in a scenic spot on the shore of lake Pinkjärvi. 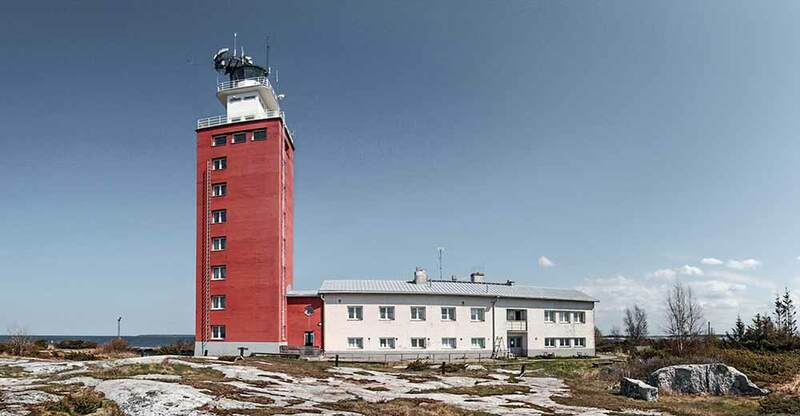 The indoors were renovated during the winter of 2006. 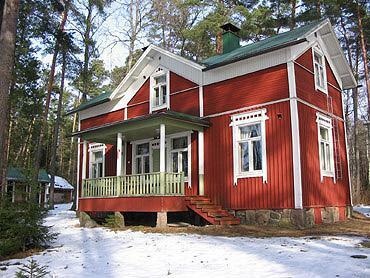 In addition to large and roomy two-storey main building there is a separate lakeside sauna and shelter for open fireplace. Downstairs: kitchen with electric cooker, wood-heated stove, refrigerator, dinner set for 13 people. Living room: fireplace, dining room table, door to the terrace. Bedroom: bunk bed and two separate beds. Toilet/shower. Upstairs: 2 bedrooms each with 1 bunk bed, 1 bedroom with 2 beds. A table and convertible sofa in the common room. 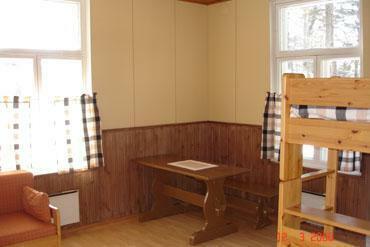 Cabin is pre-heated for basic heat (12-15 ºC), client will turn up heating on arrival. 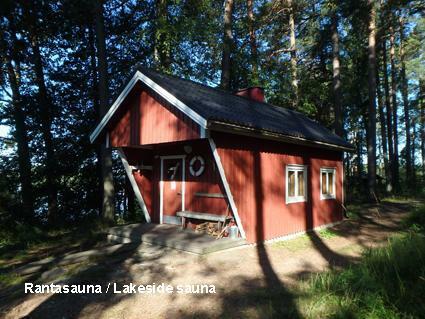 Lakeside sauna (approx. 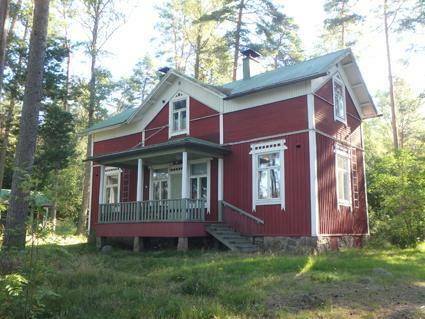 40 m²): electricity, dressing room, washing room, wood-heated pan for warm water (no showers) and sauna for 4-5 persons. Rowing boat, dock. Beach is moderate for swimming. Client bring drinking water themselves. Cabin should be cleaned by the customer during the holiday and after that. Due to long distances maintenance doesnt check the cabin after all customers. If the cabin is not cleaned or there are deficiencies, please contact the caretaker immediately on arrival by calling. Please, remember to bring your own bed linen and towels (can not be rented). Water is not examined yearly so boiling the drinking water before use is recommended. Cabin is especially suitable for groups who want to spend time together confortably in the vicinity of nature. 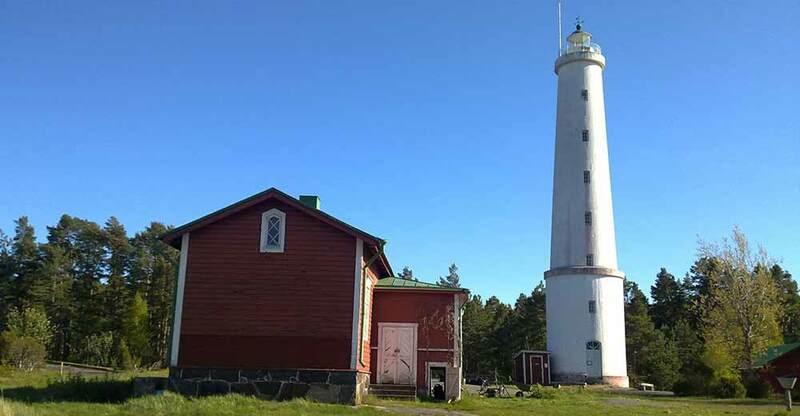 The surrounding area offers good possibilities for hiking and boating as well as interesting nature attractions. 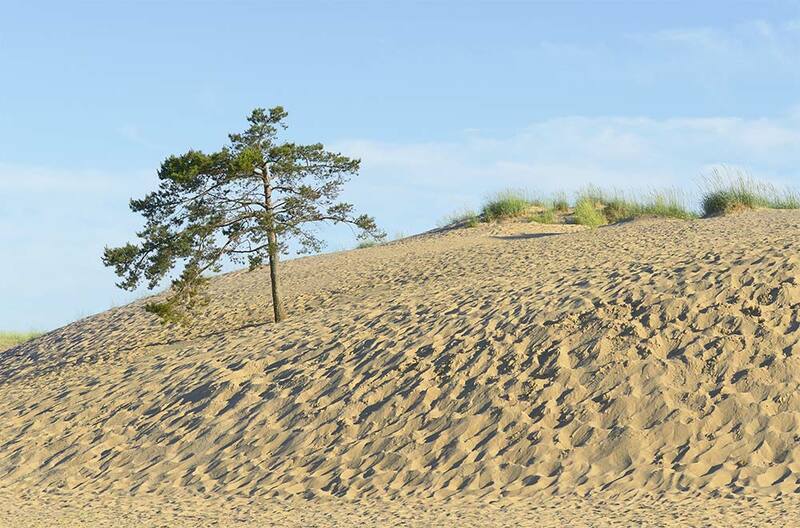 Accessible by car throughout the year. 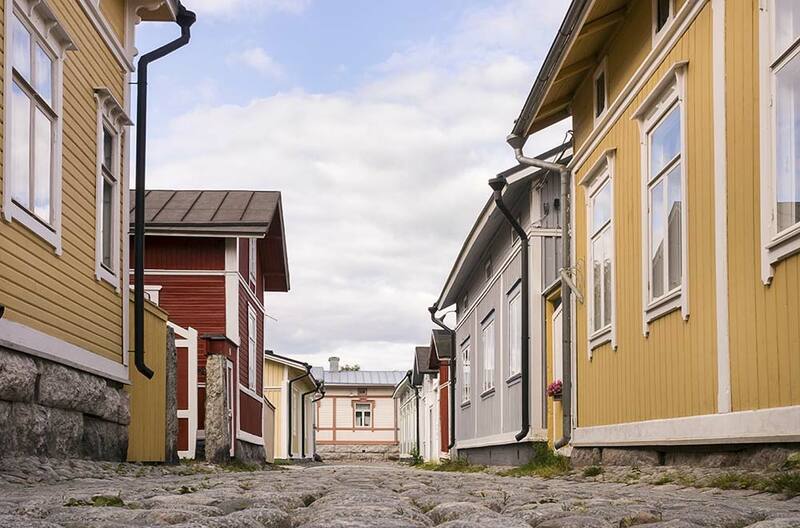 By public transportation: Coach Turku  Rauma  Pori, distance to bus stop 6 km.